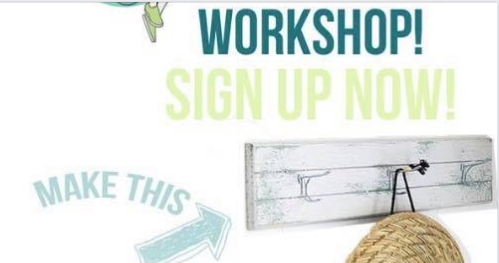 Join us for an afternoon of learning the basics of Saltwash and take home a personalized Schoolhouse Coat Hook. Saltwash is a VOC free, salt-based additive that will mix with any style of paint. Achieve a coastal layered texture look in a few simple steps. We will mix our Saltwash with our chalk style paint line, VINTAGE PAINT by JDL. To register please send us a private message. Once payment is received your spot is reserved. We accept all methods including credit card over the phone and etransfer. Please be aware that all classes are NON REFUNDABLE.